You are at:Home»News»10 things you should do while visiting Siqujor! Cambugahay waterfall is a showcase of Siqujor Island and should not be missed. That is cascaded waterfall with several smaller ones, simply ideal place for relaxing and taking great holiday photos. Two of the biggest falls create deep natural swimming pools and you can enjoy Tarzan jumps into the cool water. It is better to avoid this place on weekends while it is rather crowded. Weekdays are much better to experience that little piece of paradise. Mt. Bandilaan is the highest point of Siquijor Island. Bandilaan peak and surrounding forests are protected nature reserve. On the top of the mountain you can climb viewing platform and enjoy outstanding views on the island and jungle below. Each year, during Folk Healing Festival there is unique opportunity to meet local healers and shamans cooking special herb mixtures and benefit healer’s service. The easiest and the most pleasant way to get to this place is to rent a scooter, drive through Siquijor mountains taking break in mountain villages to meet smiling locals who are always eager to share time with tourists. Coming to Siquijor you were probably quite sure in this area only Apo Island gives you possibility of watching sea turtles while diving or snorkelling. Well, you were totally wrong. Every day sea turtles come to Siquijor coral reefs where they live and it is easy to spot them, if only you know where. 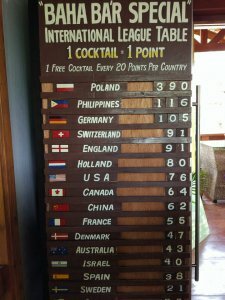 Perfect place is Siquijor Divers Dive Center, also located in Maite, San Juan. 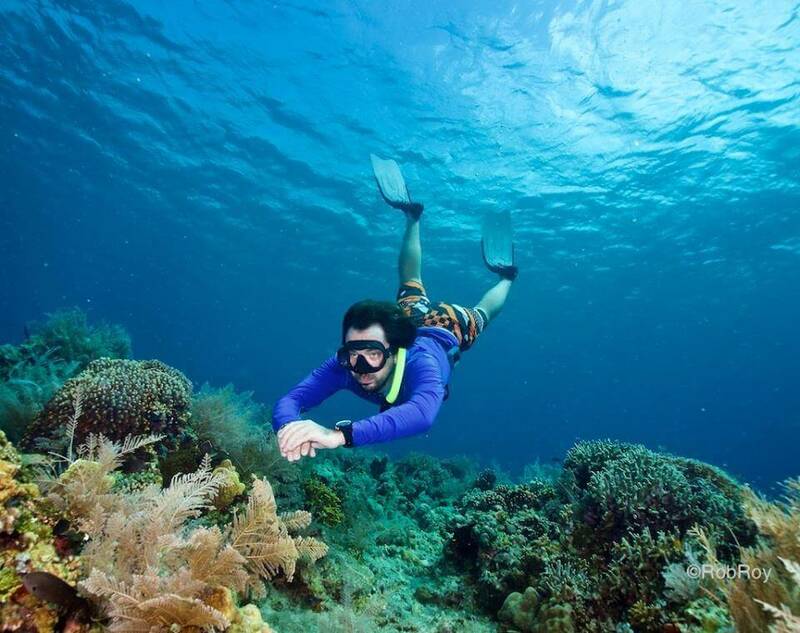 You can rent professional snorkelling or diving equipment there. After exciting water activities you can also relax or have a drink in the beach bar called Republika Beach Bar. That is beautiful example of how to invest and run business in local and eco-friendly way. Factory is located in Candaping, Maria. It is worth visiting to learn how the best virgin oil ever is made. The process is fully manual and each part of the coconut is used for further processes. For example shells are perfect inputs for bags, purses or tables production. Variety of coconut products, and “buko oil” always, you can buy in the factory at really good price, comparing to any other place, also on the Siquijor Island. Quite soon the owners are opening SMylen Dream Home Stay just behind the factory and will be offering few rooms, “nippa house” and restaurant for anybody who likes eco-balanced environment with nice sea view. This is unique sanctuary of huge and old mangrove trees one can admire walking along man-made wooden bridges. There are few bamboo huts and platforms where you can sit and enjoy marvellous environment and views on the sea and neighbouring island. 10 pesos admission fee is fair enough for a short break in the nature on the road between Siquijor and Larena. There are plenty of well-known and beautiful beaches around the island recommended by many people as well as tour guides. 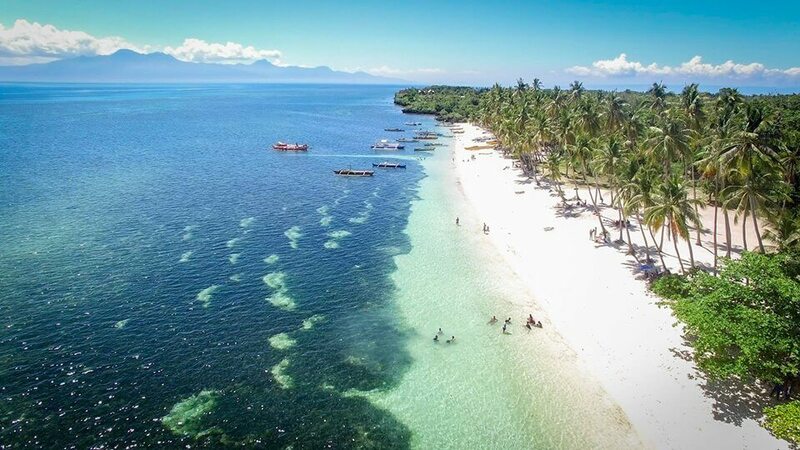 To name few of them: picturesque and quiet Kagusuan Beach, noisy and crowded with many attractions Salagdoong Beach, Tubod Beach with close to the shore marine sanctuary or beautiful full of palm trees and offering the best sunsets Paliton Beach. There are obviously dozens of others people visit frequently, however try to find undiscovered beaches, where, if only you meet someone, that would be probably local fisherman or local family. Or even nobody but you and stunning coral reefs full of colourful fish and other marine species. Good luck!